Magnet are hosting a Cyber Security Briefing on June 15th in The Aviva Stadium to celebrate the launch of Magnet Protect. The breakfast briefing kicks off at 7:15am, includes a complementary full Irish breakfast and is free to attend. Click here to register. Pat Moran, Head of Cybercrime & IT Forensics, PWC. Stuart Borgman, Director of Cyber Security Engineering EMEA, Palo Alto Networks. Attendees on the day are eligible for FREE non-invasive, zero downtime Cyber Security Audit worth €2,500. However there are limited spaces so book early to avoid disappointment. Magnet Protect is a next generation firewall powered by Palo Alto Networks. Magnet Protect has been designed from the ground-up to be truly application aware giving you the control you need to apply your own security policy. Magnet Protect removes the need for ‘blanket bans’ and allows you to give role based and time based access to applications. Some of the Magnet Protect features are listed below. Top threats including blocked malware, spyware, viruses – as well as any potential malicious activity. 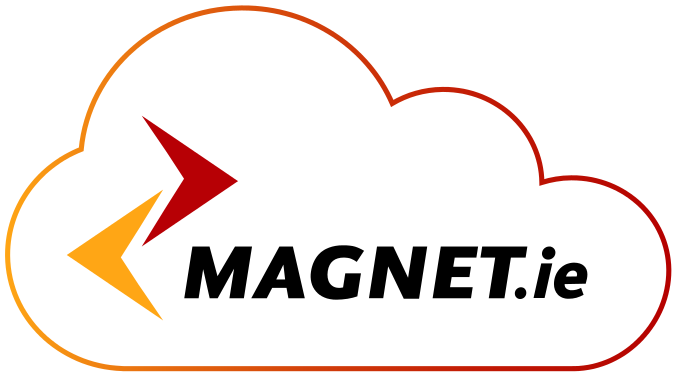 Click here for more information about Magnet Protect.